We explore all design and budget considerations to help meet your pharmaceutical freeze drying requirements with the best possible equipment match. Our knowledgeable engineers and consultants will help you explore all aspects of your pharmaceutical freeze dryer requirement to help ensure you get the right system for your purpose. Sterile production environments are most commonly found in bio-pharmaceutical and pharmaceutical organizations. 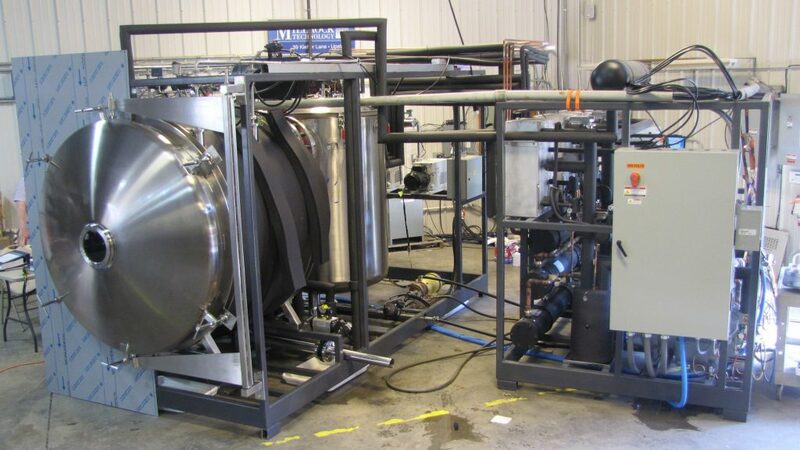 Millrock Technology, Inc supplies cGMP pharmaceutical freeze dryers with steam sterilization and 21CFR part 11 for these demanding applications. Our support lasts throughout the pharmaceutical freeze dryer life cycle to help ensure that your project starts successfully and remains successful. Our due diligence helps identify every consideration for a successful installation. Each Quanta-S is custom configured to your requirements and needs. 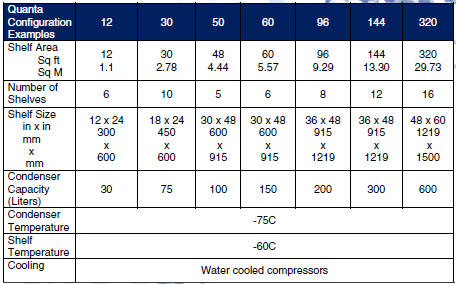 The chart below provides some general guidelines for system configurations. Vial capacity chart is based on general configuration samples and is an approximation. Actual vial capacity is provided as required.